Audionics' fourth release mainly contains an incomplete soundboard recording from Hartford, July 28 1976. This is the third soundboard released by Audionics, but the first incomplete soundboard. Audionics has made it a standard to deliver their CD's with a nice booklet. The booklet contains several nice pictures and an adequate story to back up both the photos and the CD. The CD starts with 'Also Sprach Zarathustra', always a plus to get the very beginning of a show. 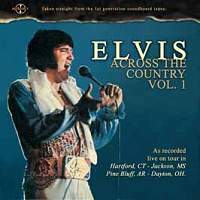 Elvis throws himself into quite an energetic 'See See Rider'. You can notice early that Elvis is in a good mood. 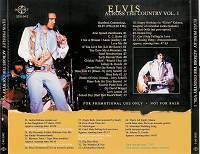 He sings adequate on all numbers available on this CD. Unfortunately the CD goes from 'You Gave Me A Mountain' to the introduction of the band. Not often that the soundboard tape is missing songs in the middle of the show. More common is it that the beginning or the end of the show is left out. The tape is complete from band intro and out to the very end. Included is even a 'Happy Birthday' to the daughter of the "guy who is supposed to be funny", "Jerky" Kahane. After the main show Audionics has included some three minutes of Jackie Kahane on a TV-show from 1978. After this some bonus tracks from other September 1976 shows follows, Pine Bluff and Jackson to be specific. Among these are a version of 'My Heavenly Father' by Kathy Westmoreland and an acoustic version of 'Blue Christmas' by Elvis himself. Overall the sound quality is a bit below normal good soundboard quality. A pity, but some of it is made up by a great booklet accompanying the CD. It is worth noting that this release is labeled "Vol. 1" suggesting another volume to follow sometimes in the future. Let's hope so!